There have been more than a dozen incidents in the last few weeks in the 114th Precinct. ASTORIA — Police are warning drivers to be on alert after a rash of more than a dozen car break-ins in the neighborhood in recent weeks, according to the NYPD. The 114th Precinct — which includes Astoria and parts of Long Island City and Woodside — has seen an uptick in car burglaries during the past month, with thieves breaking windows or looking for unlocked vehicles to steal items from, according to Deputy Inspector Peter Fortune. There were between 12 and 16 such incidents during the last two to three weeks, all of which took place in the southern end of the precinct between 36th Avenue and Queens Plaza from Vernon Boulevard to around 29th Street, Fortune said. "We're going through a peak right now," he explained. The precinct has been warning drivers on social media about the uptick, and officers have left fliers on cars in the area reminding residents to lock their vehicles and remove any valuables from them. "People are still leaving their watches, their wallets, their computers, their work items in the front seat, in the glove compartment," Fortune said. "Just trying to make sure that the public remembers." Despite the recent uptick, overall crime in the 114th Precinct is down almost 19 percent so far this year compared to 2016, NYPD statistics show. 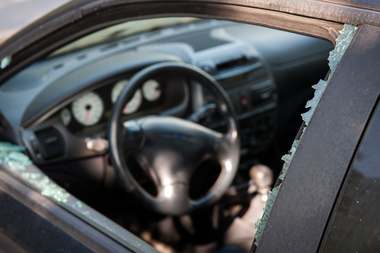 Grand larceny incidents — which Fortune noted generally include car break-ins — were up more than 45 percent from July 24 to July 30 compared to the same week in 2016, NYPD data shows. However, grand larcenies were down just over 7 percent for the most recent 28-day period ending July 30 compared to the same month last year, the statistics show.